AND it's Puppy Wednesday! 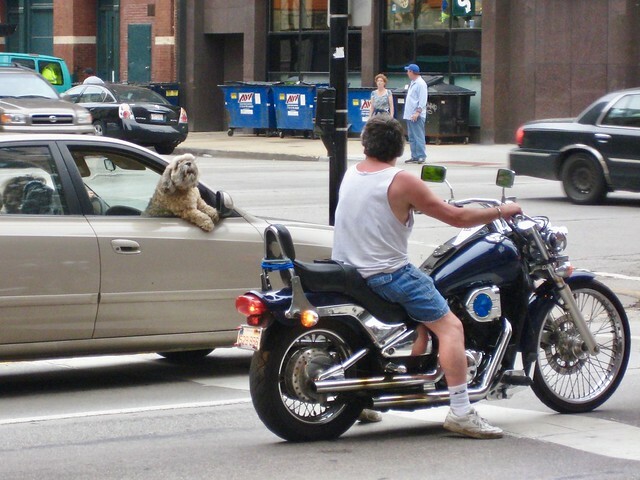 Here's a moment from (coughcough) a decade ago, shot in Chicago when dog met motorcyclist and dog had the last word. Meanwhile, the blog will be on vacation this month. Not stopping altogether because that always turns out to be stressful somehow. Instead we'll reach into the photo archives for some favorites, maybe a few days a week, maybe more often. Honestly, just saying the word 'maybe' feels so relaxing.